Ziti Rigati is medium-sized tubular pasta about 2-inches long and slightly curved. This classic Southern Italian pasta means "bridegrooms"; it is often served at Sicilian weddings. 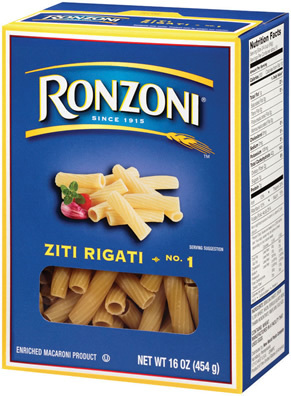 Ziti Rigati has a ridged surface, while regular ziti is smooth. Ziti is traditionally served in oven baked dishes with tomato sauce and mozzarella cheese. It works as well in any entrée, side dish or cold salad. 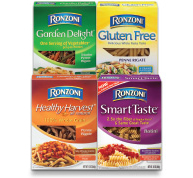 Smooth ziti can handle thicker sauces, while Ziti Rigati "holds" thinner sauces better.